Eid is knocking at the door. Special recipes are ready too. Everyone wants to surprise the guests by their cooking expertise. Now its your turn to astonished your guest by your cooking capability. 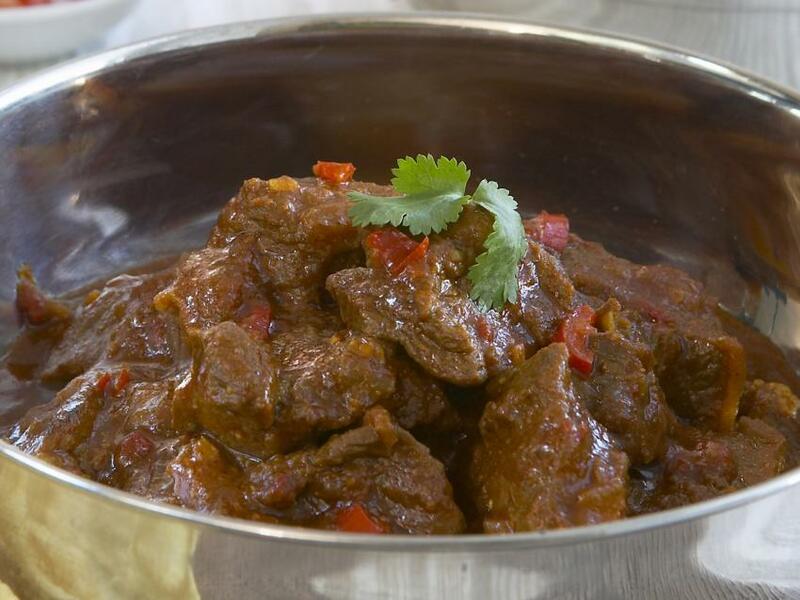 Try to cook beef vindaloo at Eid day. Whisk the vinegar, garlic paste, ginger paste, yogurt, salt, black pepper, and red pepper together in a mixing bowl. Mix in the beef cubes until evenly coated. Cover the bowl with plastic wrap, and marinate in the refrigerator overnight (or at least 30 minutes). Heat the vegetable oil in a large pot over medium heat. Cook and stir the onions in the hot oil until they soften, turn translucent, and begin turning golden brown, about 10 minutes. Add the beef cubes, and cook, stirring frequently until the meat is no longer pink on the outside, about 10 minutes more. Stir in the tomatoes and cook for 5 minutes. Pour in the water, and bring to a simmer. Cover and reduce heat to medium-low; cook until the beef is tender, about 40 minutes. Sprinkle with cilantro to serve.